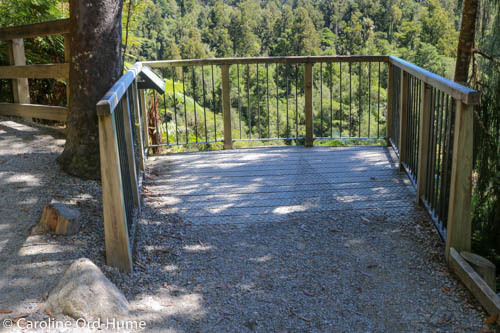 Hokitika Gorge Walk has been partially boarded to provide easy access and safety. 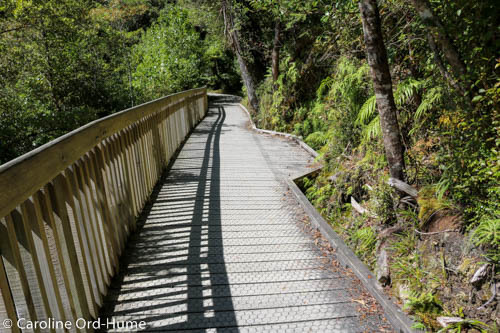 The boardwalk includes an excellent large viewing platform from which visitors can look down the Gorge to the bridge over the blue waters of Hokitika River, and out to the end of the Gorge where the view turns into flat Kowhitirangi farmland with a mountain backdrop. 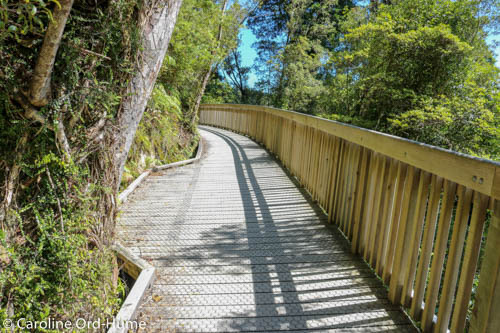 The photo images on this page provide a walkthrough of what to expect on the walking track. 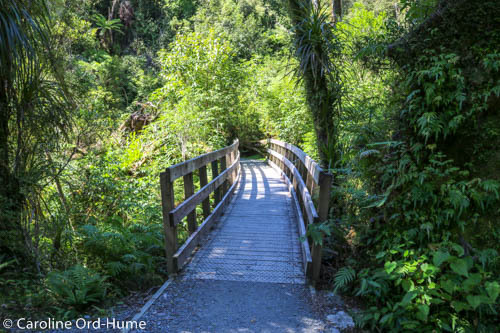 Information about Hokitika Gorge Scenic Reserve and how to get there. The walk takes around 30 minutes to get from the car park down to the swing bridge and return to the car park along the same track. 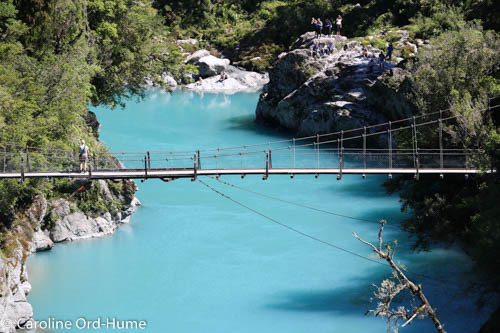 This makes it an excellent choice for a short walk visit but equally good for enjoying the beautiful gorge sitting around on the rocks by the turquoise water. The whole track is well maintained for the duration of the walk, with parts being a sturdy boardwalk and part being hard stone gravel. The car park has ample room, except at the busiest season of the year, and there are toilet facilities there. 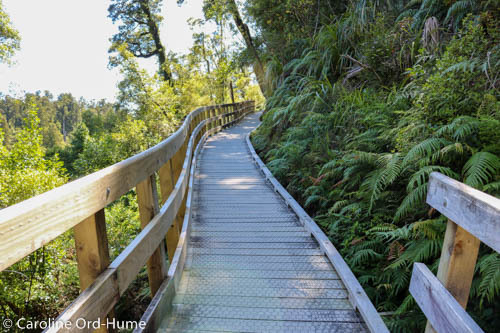 The boardwalk makes the Gorge Walk accessible to all types of visitors. Without the boarded parts of the track it would not be walkable due to the steep and treacherous sides of the Gorge, and what would also otherwise be a slippery and dangerous track. 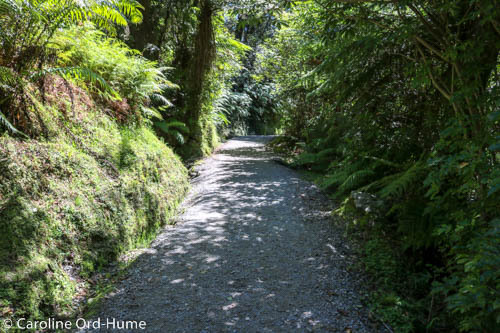 The hard work carried out on this walking track is very much appreciated as it makes this stunning part of the New Zealand landscape accessible for many more people to enjoy. 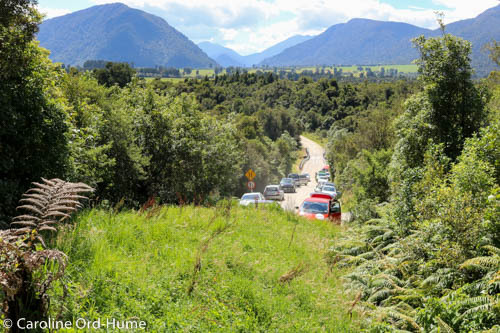 There is no public transport to Hokitika Gorge. Instructions for getting there. There is no mobile or cell phone reception. There is no drinking water, or there wasn’t when I was there, so take your own food and drink. Dogs are not permitted in the scenic reserve or on the walk track. If the car park is full there are usually spaces on the side of the road approaching the car park. Do not leave valuables in your vehicle when going on any walks. 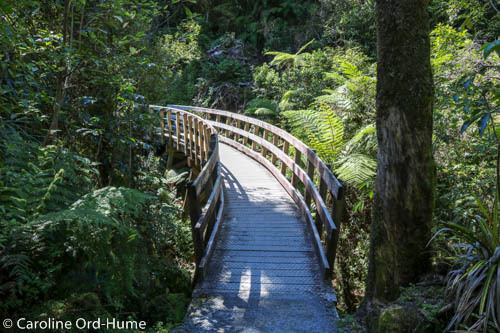 All about Hokitika Gorge Scenic Reserve.